The SEC Files Charges against Floyd Mayweather and DJ Khaled for Promoting Cryptocurrency – Details Here! Floyd Mayweather who was reportedly paid by three different ICO issuers, including $100,000 from a company called Centra; has agreed to pay a fine of $614,775. He’s also been prohibited from promoting any securities “digital or otherwise” for three years. DJ Khaled who also reportedly paid $50,000 from Centra, has agreed to pay a fine of $152,725. He has also been prohibited from promoting any securities “digital or otherwise” for two years. The SEC added that as part of the settlement, neither celebrity admitted or denied wrongdoing. Stay tuned for any updates on this story.  #business news#cryptocurrency#DJ Khaled#Featured#floss Magazine#Floyd Mayweather#Lifestyle#SEC#SEC Fines Floyd Mayweather and DJ Khaled for Promoting Cryptocurrency - Details Here!